As politicians prepare for 2019 general elections, Nigeria’s former military leader, General Ibrahim Babangida (rtd), has stressed the need for younger politicians to lead the country. The elder statesman noted that any person interested in the seat of power should possess the needed distinct qualities of a good leader. “What I want to see is a young man that has what I will call ‘four in one’,” he said on Monday. The military leader, who truncated the return to civil rule in 1993, recently joined his peer, former President Olusegun Obasanjo, both co-founders of the opposition Peoples Democratic Party (PDP). They both lampooned President Buhari recently and warned him against re-contesting in 2019, but Buhari has broken the ice and declared he was in the race for second term. Obasanjo had dumped PDP and currently paving way for Social Democratic Party (SDP), the new sanctuary of his supporters while Babandiga remained a chieftain of the PDP. Babaginda decried the registering of more political parties by the Independent National Electoral Commission (INEC), with about 300 days to the polls. Amid the call for a third force in the country, the elder statesman believes nothing was wrong with the People’s Democratic Party (PDP) and the ruling All Progressives Congress (APC). “If these two are not options, then somebody should be sitting down to think about what to do. Surely not to add more 90 political parties, but a constructive outfit and that is durable because we have a free press. “I haven’t seen arguments why these two are not options; I may have my own opinion, but I think the arguments have not been well articulated,” he noted. 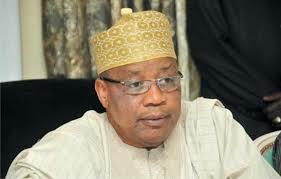 Reacting to the recent happenings in the country, Babangida recalled the era of the civil war and declared that the unity of Nigeria remained non-negotiable. He noted that anyone or group calling for the disintegration of the country must have forgotten or not shared in the sad experience that led to the death of millions of Nigerians.